Family Christian Doors can't be topped when it comes to garage door repair and replacement. They have a long history of doing the right thing and making their customers happy. You can see all of their reviews through a simple Google search and you will see that they are top notch when it comes to quality and integrity. Family Christian Doors can handle any size job both residential and commercial. Whether you have a bad spring, or you want the latest and greatest door on the market, Family Christian Doors is your best choice and they back all of their work are available 24/7 for your convenience. If you choose to let them make the repair, there is no service charge for coming out diagnosing the problem! 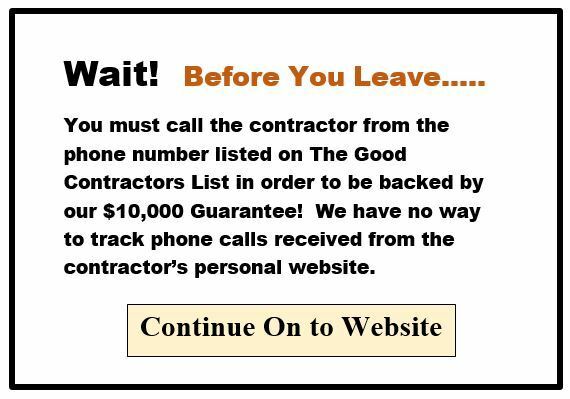 The Good Contractors List believes you will be very happy with their service and we back every job they do. Be sure to mention you found them on The Good Contractors List.